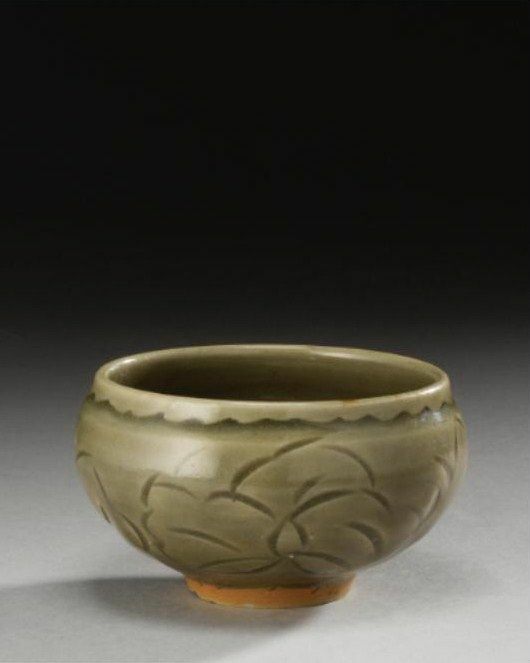 Provenance; Robert H. Ellsworth Collection, New York, acquired from Alice Boney, Japan, 1960s. 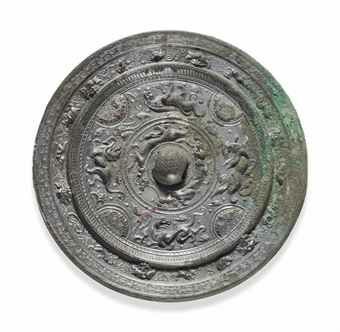 Notes: Compare the very similar mirror of comparable size with the same inscription illustrated by T. Nakano et al., Bronze Mirrors from Ancient China: Donald H. Graham Jr. Collection, 1994, pp. 202-3, no. 72, where the authors translate the inscription, noting that it "refers to the spiritual quality a good mirror should possess, as well as to the thoughts and feelings of others which could be conveyed by such a mirror." See, also, the mirror of slightly larger size (14.9 cm.) 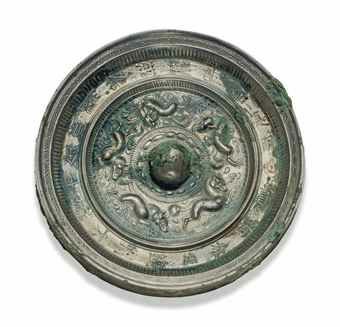 with similar petal and stamen borders encircling the knob as well as the same diaper border at the rim illustrated by J. Rawson and E. Bunker, Ancient Chinese and Ordos Bronzes, Oriental Ceramic Society, Hong Kong, 1990, pp. 258-9, no. 177.